Library technical assistant O’Neilia Francis earned her Bachelor of Science in Information Technology from Kennesaw State University. O’Neilia works for the library’s User Services & Technology Support department, so you might see her helping patrons at the service desks on the first and second floors. 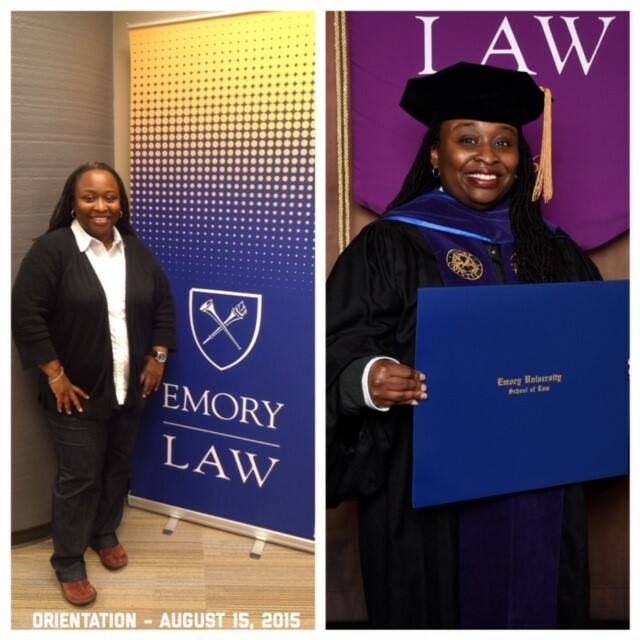 Policy studies librarian La Loria Konata earned her Juris Master degree in Intellectual Property from Emory University School of Law. Her legal studies supplement her subject work with Criminal Justice, Economics, Public Management & Policy, and Social Work. Read La Loria’s “Meet a Librarian” profile here. La Loria Konata at orientation and graduation. 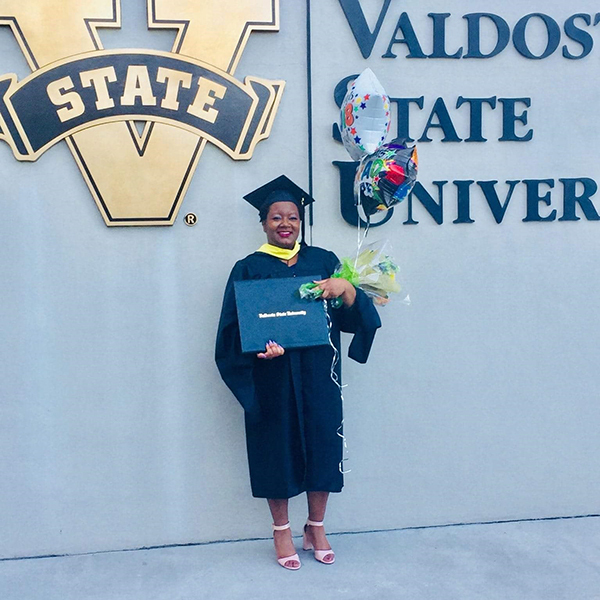 Library assistant Dana Marseille earned her Master of Library and Information Science degree from Valdosta State University. Dana works with the library’s electronic reserves collection and provides technology, circulation, and reference assistance for patrons at both public service desks. Dana Marseille at her MLIS graduation ceremony. 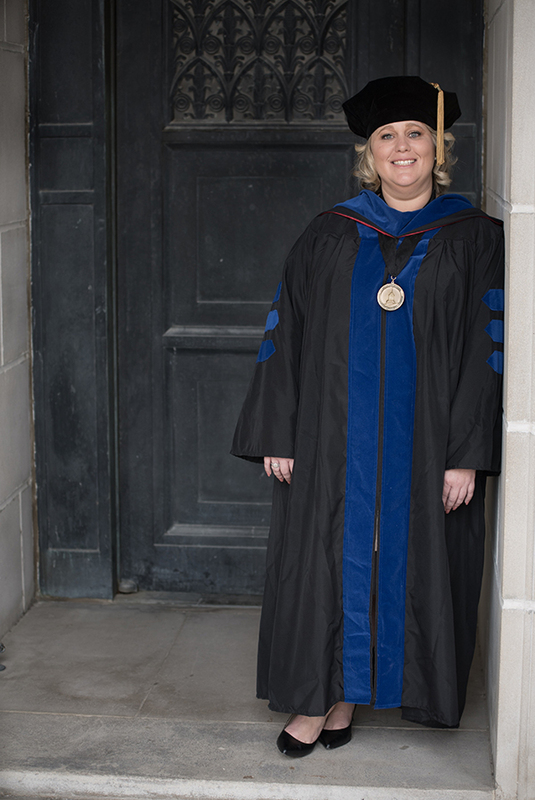 Our new Quantitative Data Specialist Dr. Raeda Anderson earned her Doctorate of Philosophy in Sociology with a minor in Survey Research and Methodology from The University of Nebraska-Lincoln. Her knowledge and skills facilitate the development and implementation of quantitative research methods used by faculty, staff, and students within the social sciences. Raeda Anderson in doctoral regalia. Congrats to all. Your hard work paid off!